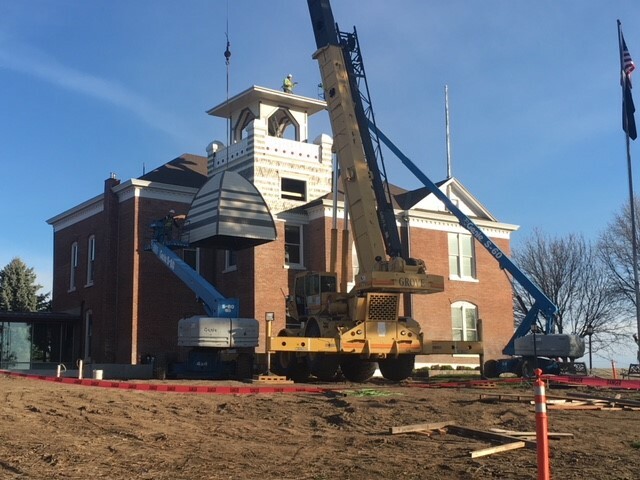 An exciting day for Sherman County and the Sherman County Court House construction and renovation project. Work continues on the and 15,250 square foot annex building in Moro. 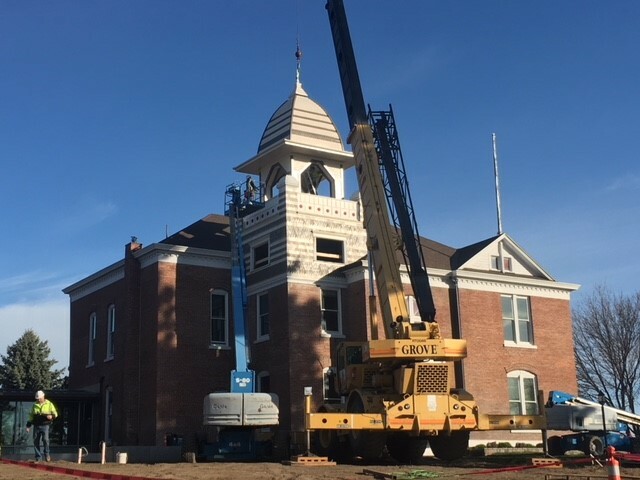 Very early in the project it was determined that a very important feature to the project would be the replacement of the cupola that once sat atop the Sherman County Court House. 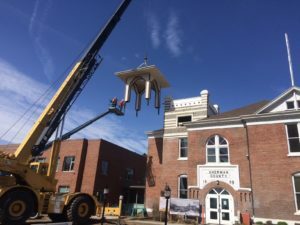 Long time residents and historic documents illustrated the dimensions and features of the cupola that had been badly damaged in a wind storm years ago. 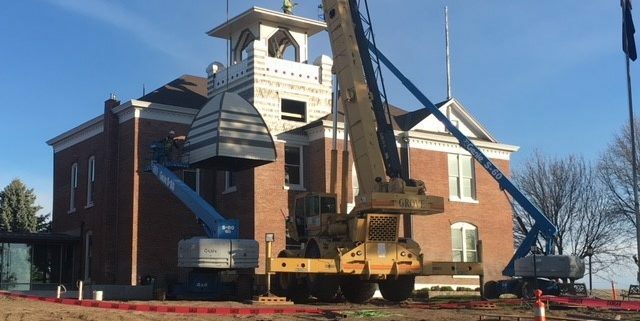 A new fiberglass cupola was delivered to the site and installed on newly constructed steel supports in the building making the building appear as it did in the 1800’s. Hennebery Eddy is the Project Architect and The Wenaha Group is the Owners Representative. Kirby Nagelhout Construction Company is scheduled to complete the project in mid-summer of this year.